Young Bucks real name is David Darnell Brown, he was born March 15th '81. Bucks stardom came about as a member or the rap Group G Unit just a few years ago. He is currently the owner of his own record label "Cashville Records." Buck originally signed with Cash Money records, then sign with UTP and later signing with G-Unit. In the city of Nashville Brown was known as a street thug, where as he was a well known drug dealer. He has been shot on one occassion while being robbed. 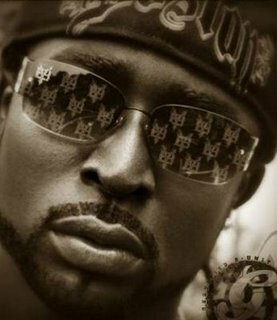 Search above for more Young Buck music! 2010: "When The Rain Stops"
2010: "Ya Betta Know It"